This entry was posted on 7th February 2019 by WoodBlocX. 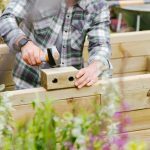 We’re not suggesting you go out into the garden on a freezing cold day and build a WoodBlocX raised bed...however, if you are planning on getting one in place ahead of the growing season then now is a good time to start planning in order to plant out seedlings or sow directly into the soil. WoodBlocX timber raised beds are ideal for growing your own fruit and vegetables, they can be built to a height to suit you perfectly making tending, planting, weeding, watering, pest control and fertilising much more accessible, not only are they all of those things, but they also warm up quicker when the temperature changes compared to open ground, and they are a fantastic pest or dog deterrent! Raised beds aren’t just the staple of veg growers, they are also brilliant for growing shrubs and ornamentals too, either to create a stand out section in the garden or, if you fancy yourself as the next gold award winning Chelsea garden designer, you could try your hand a little bit of experimental planting. Check the weather, if you can see there’s going to be a good run of weather plan your build around this. WoodBlocX timber raised beds can be built on any surface including directly on top of soil or grass but if the weather has been particularly wet just standing and moving around on the ground can start to make it uneven and boggy so wait for a few days after a wet spell. Keep an eye on how much light the area where you plan to install your wooden raised bed gets as this could make a big difference to your growing success if you plan to grow edibles the area doesn’t get a great deal of sunshine you may want to consider moving its position. Order your soil, if you don’t already have some soil to fill your raised bed, work out how much you need using this simple sum: length(m) x width(m) x height(cm), but if you are adding a drainage layer to the bottom subtract the height of the layer from the equation so you don’t over order. and contact your local suppliers and compare quotes. 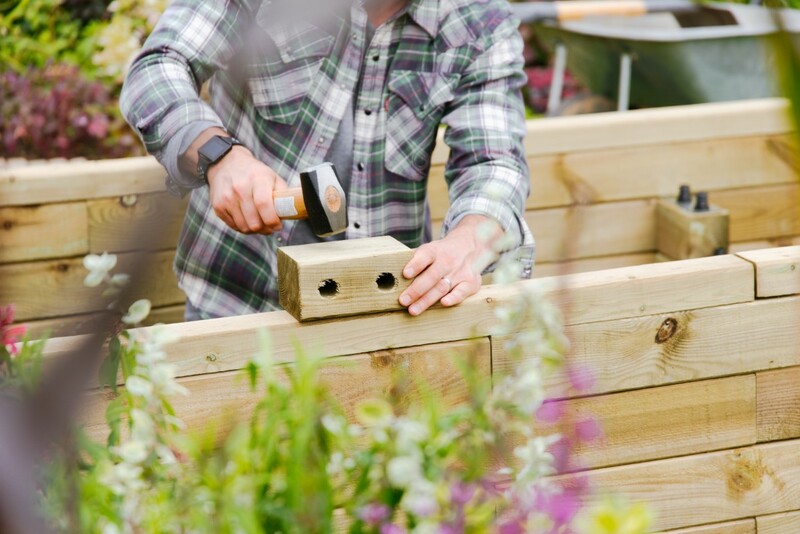 When you receive your WoodBlocX raised bed kit you will also receive a set of instructions that are bespoke to the design that you choose, simply follow the steps and you will have built your raised bed in no time at all. If you need any extra help we have read a series of short how-to videos that are designed to answer all possible questions with a visual answer, and as always, if you need to speak to a human being, give us call on 0800 389 1420. What can I sow in my WoodBlocX raised bed now? February is the month to get started and there is plenty of veg that you can sow directly into the soil including garlic, shallots, board beans, carrot, parsnips, peas, spinach - loose soil is ideal for these crops so fresh bought-in soil used to fill the bed will work perfectly. 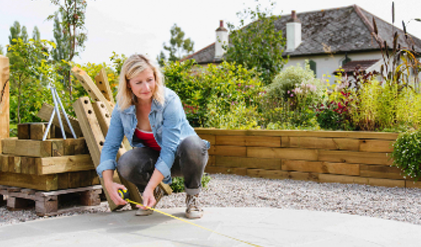 To get an instant price for a raised bed for your garden click here or if you would like something a little bit different and need to discuss your ideas with one of our designers click here to use our free design service.